If you’ve ever thought that Termite Bait Stations don’t work, think again. They do! 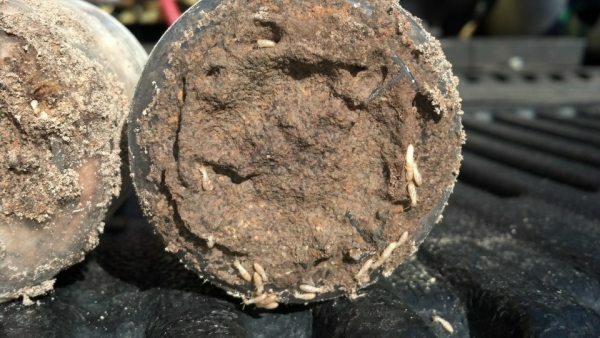 This is a picture of a cartridge from a termite bait system. These bait systems actively work to monitor termite activity around your home. As you can see, the termites are very much alive and very active. Termites are constantly foraging, looking for food. This picture is even more interesting because these particular termite bait stations were placed around the dwelling only 30 days prior. Active management to prevent termites from entering your dwelling is key.